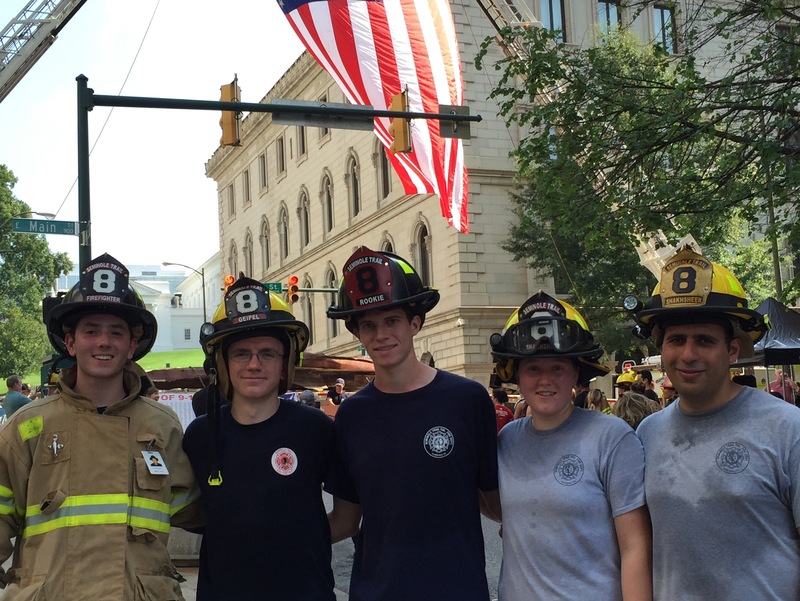 On the fifteenth anniversary of the September 11th attacks, a number of Station 8 members represented STVFD at the 9/11 Memorial Stair Climb in Richmond, along with our brothers from Albemarle County Fire Rescue. It was an amazing experience in which 343 firefighters, police officers, and members of the military from across the region came together to remember the fallen of 9/11. We climbed 110 stories together, each carrying the name and picture of a fallen firefighter with us to finish the climb they did not have the opportunity to complete 15 years ago. 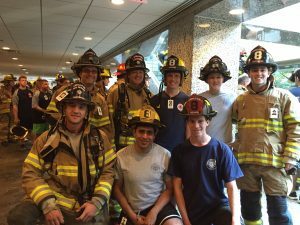 Many firefighters wore shorts; others had full PPE and SCBA with tools and a high rise pack. After reaching 110 floors, we rang a bell three times and announced the names of the fallen to honor the sacrifice they made 15 years ago serving others. The event raised close to $18,000 for National Fallen Firefighters Foundation. Seminole raised $400 (you can still donate here. Click on STVFD). Many thanks to Lt. Shakhsheer, Lt Geipel, FF Cohen, and FF Keating for representing Seminole Trail. 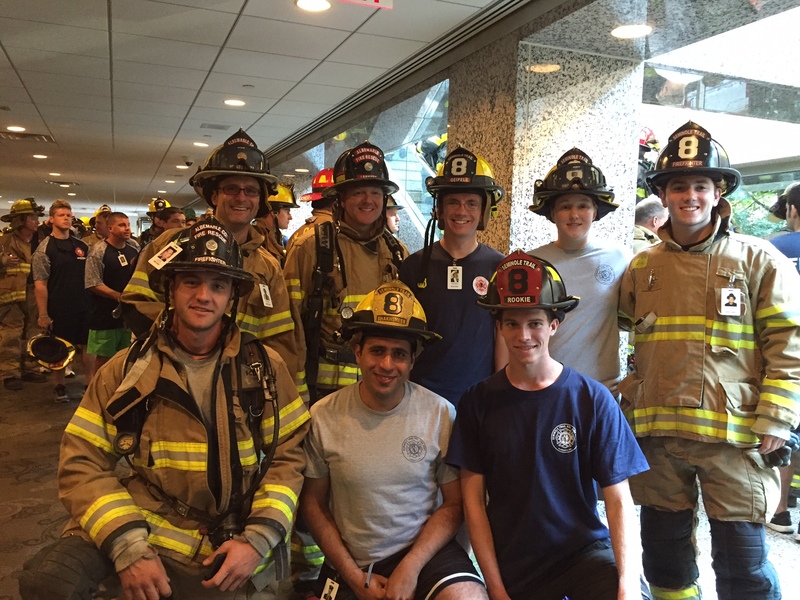 Thanks to Sr. FF O’Connor for getting us climbing years ago with the 88 floor challenge. We’re hoping to return to the 9/11 Memorial Stair Climb next year and make this an annual Seminole tradition with even better turn out.